A month or so ago ePantry contacted me about working together on a post. I had heard of them, but wasn't really sure what they were all about, so I took a look through their site. And wow! Would it be weird of me to call a cleaning product site awesome? Really though, the site is extremely user-friendly, bright, and beautiful. The whole idea of ePantry is super cool too- in a nutshell, their mission is to make eco-friendly living more convenient via an intuitive subscription service, and after trying it out myself, they definitely do what they've set out to do. Here's how it works: you make an account (you can quickly sign up or just connect via Facebook), answer a few questions about your household, choose the products you want delivered right to your door, and there you go! A few days later you receive your first shipment. 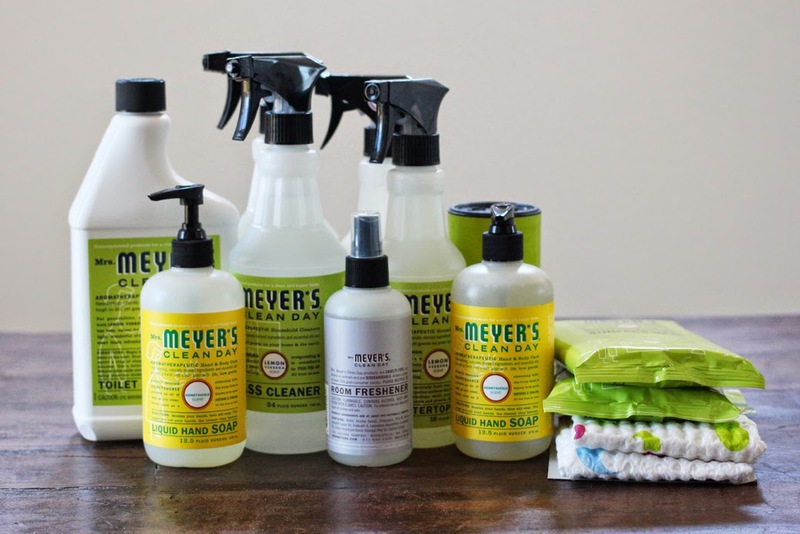 I've worked with Method before, so this time I wanted to try a different brand (they carry Method, Mrs. Meyer's Clean Day, Seventh Generation, Green Forest and more) and decided to give Mrs. Meyer's a whirl. Have you tried this stuff? 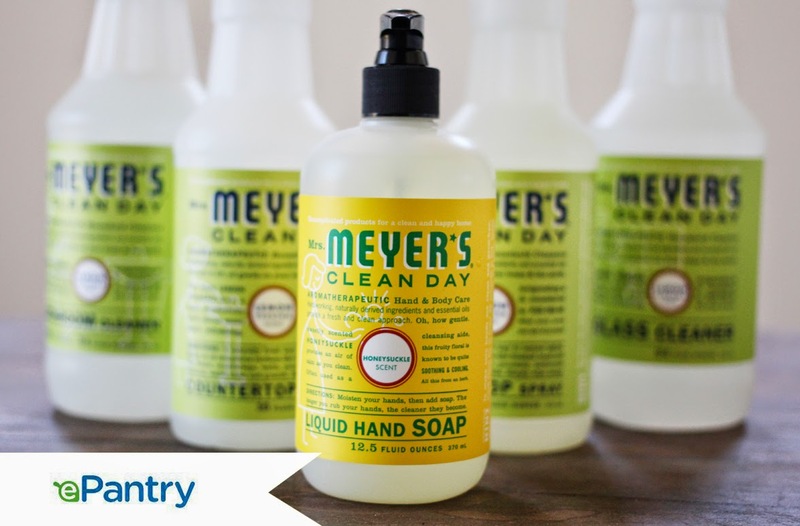 I've never gotten it because it always seemed a little too expensive but after cleaning our whole house with it, we are hooked on that smell! And luckily ePantry sells it for much cheaper so it makes it much easier on the wallet. Like I mentioned above, ePantry is a smart subscription service so your next order is set up based on what they predict you will need. We were out of town for over a week of the first month, but it was really easy to hop online and change it up. They have an app too, to make it even easier, and I love that you can cancel or change what you need or want at anytime. And as an added bonus, if you don't like something, they will immediately refund you. I also did some math and figured that through using ePantry I was saving about $10-11 more than I would through our usual spot, Amazon, and saving close to $25 from average grocery prices. Awesome. And today, ePantry is offering Sometimes Sweet readers 25% off your first order as well as free shipping when you sign up via this link. Let me know if you do (and what you pick too, because I'm nosy like that). Happy cleaning! *this post was sponsored by ePantry, but as always all opinions are my own. Ohhh this looks pretty cool, I'll go check it out! I've recently switched to all of my soaps and shampoos to more eco-friendly/organic products. Doing research before purchasing everyday things goes a long way. I'll definitely have to check these products out. This is super exciting! My boyfriend and I just got on the Mrs. Meyer's train and we love it. Method and Seventh Generation are also favorites. This could be a cool way to keep us stocked all of the time. Gracias!